SYDNEY, Sept. 4, 2018 /PRNewswire/ — Rugby League fans living or travelling overseas* won’t miss a second of the NRL finals series with FOX SPORTS’ Watch NRL. 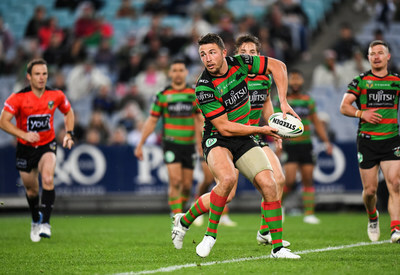 After launching this year, the ground-breaking streaming service, Watch NRL, will ensure fans overseas can watch every game of the 2018 NRL Finals Series, plus the pinnacle event, the Grand Final. In addition, Watch NRL will stream all the action from the NRL Holden Women’s Premiership, Australia v New Zealand Test match along with games from the Intrust Super Cup competition. Fans can purchase a Finals Series Pass now, sign up for a Premium Weekly Pass from September 3-22 or a Grand Final Pass from September 17. Included in each pass is access to FOX LEAGUE, the only dedicated 24/7 Rugby League channel, which includes popular entertainment shows including The Late Show with Matty Johns, League Life and NRL 360 plus all the latest news and analysis from the likes of Matty Johns, Kevin Walters, Mal Meninga, Gorden Tallis, Ben Ikin and Cooper Cronk. Fans can also tune into the NRL’s night of nights, the Dally M Medal, during this year’s Finals Series. With Watch NRL, fans can pause and rewind live matches or choose where they want to start watching, with instant full match replays available. Fan are also able to watch games on two screens at the same time and download matches and shows for offline viewing. Games are spoiler-free, with the ability to turn scores off, while pre and live match notifications ensure subscribers never miss a minute of the action. Users can choose the way they watch, from the dedicated website Watch NRL via the Watch NRL mobile and tablet apps for iOS and Android or through screens with Airplay or Chromecast enabled for all Watch NRL apps. * Watch NRL content is accessible outside of Australia, New Zealand and the Pacific Territories.